Bright Star Promotions, Inc. wishes to express our sincere thank you's to the editor and publisher of Teddy Bear Times for publication rights to list the following pages on our web site. Thank you's to Shirley Praytor for the wonderful editorial and Neysa Phillippi for the lovely photographs. 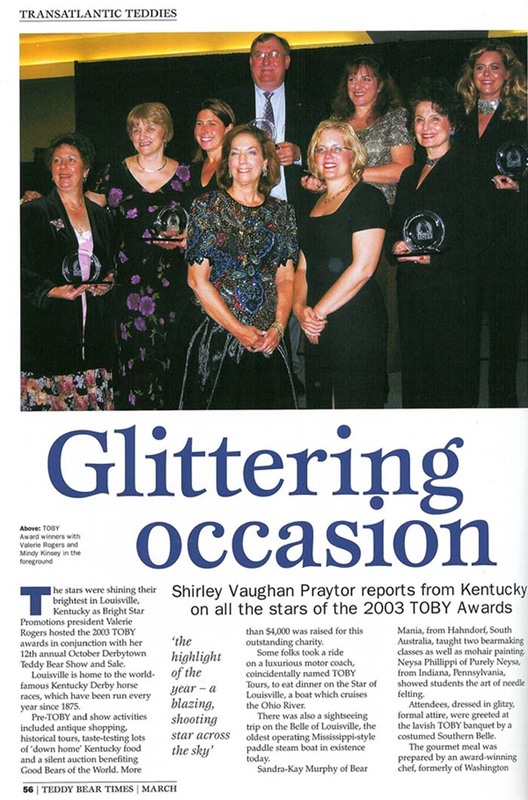 We all had a wonderful time at the 2003 TOBY Awards. festivites and 12th Annual Derbytown Teddy Bear Show.